Light can be influenced, which can have an effect on the appearance of a surface. At the point where light goes from air into another substance, the light can be affected. This can either be the direction of the light, the speed of light, both or no effect at all. A well known example is the use of a prism. This triangle shaped piece of glass shows how light enters the prism and is then split into many different colors. When looking at a teaspoon in a glass teacup, the observer can see how the spoon appears to be bend. The chance the light goes through is referred to as the refractive index. This index is used to measure how light behaves when it goes from air into wax/sealant/coating, and then from wax/sealant/coating into the clear coat layer. If a manufacturer know how the light is affected, they can predict the visual effect their product gives to a certain surface. I.e. it allows manufacturer to develop a product that either improves direct gloss, or a warm glow. This can also effect the visual effect the protective product can have on metallic paintwork, due to the direction of light. The refractometer tells the observer what the refractive index would be. There are a few different types of refractometers, not all are commonly used in the detailing world as some are only designed to work with liquids. The largest difference in these devices are the automatic refractometer and the none-refractometer. The first one uses an internal and computer controlled system of LED light that is aimed at a sample, depending on the refraction within the light, the device is able to calculate the refractive index. The latter is a small handheld device that looks similar to a small telescope. By looking through the device, one sees a scale and a line of the liquid. The line corresponds with a certain numer on the scale, telling the viewer the refractive index. This is mainly used to determine the density of a certain sample. Another, less commonly used instrument is the gemonology rrefractometer, which is designed to measure the refraction of gemstones. This device is likely to be a candidate to test automotive coatings with. Refractometers are not very common in the world of detailing, mostly because they can be difficult to use. The reflective index is something that is very similar and also gives a clear impression of the properties of a certain surface. Because of its ease of use, the reflective index is much more used by manufacturers. 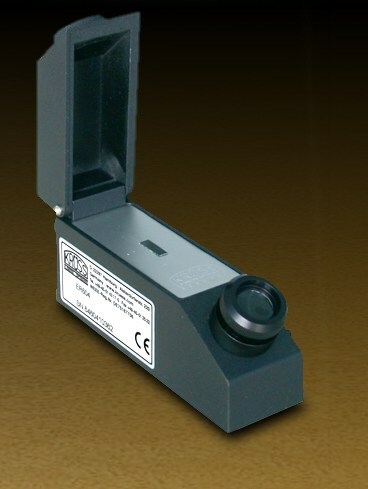 The refractometer however can be used to determine the clarity and density of a paste wax, or a coating. This would be most commonly done by applying the product to a substance of which the refractive index is either known or calibrated. The difference would be due to the product applied to the material.